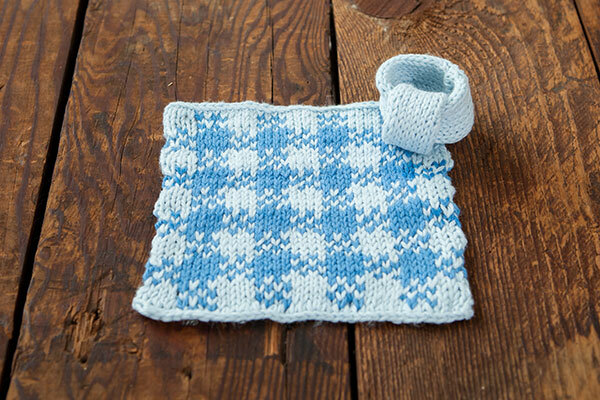 Sizes Included: Placemat: 17 x 12", Napkin Ring: 5.5" x 2.5"
The Inlaid Fair Isle Dinner Set is worked in several pieces. 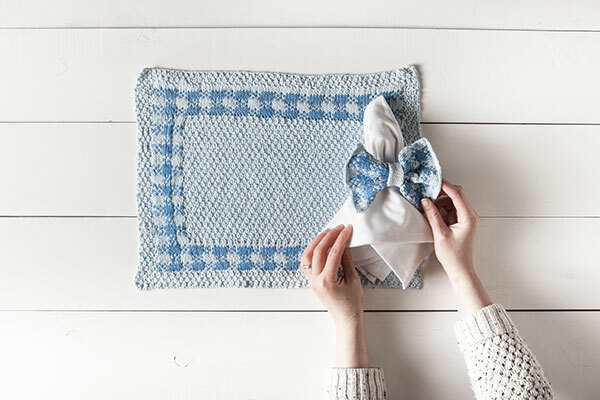 The placemat is worked flat from a long end, featuring a two-color Fair Isle gingham border with a textured center and edge. The napkin ring is worked in three pieces: a small Fair Isle piece for the bow, and two narrow tubes worked in the round.